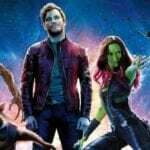 Critics and fans are once again divided around a film in 2018. We’ve already witnessed the high and lows of this new phase of apparent out of touch reviewers, with The Last Jedi receiving fan backlash whilst The Greatest Showman is poured over by the general public. 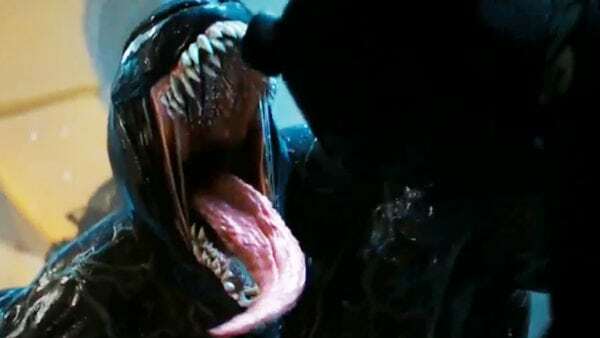 Venom seems to be reaching somewhat of the same situation, with critics claiming it’s a film from the early 2000s, as audiences fill the cinemas with their popcorn and an enthusiastic attitude for the latest Tom Hardy offering. I have many thoughts myself on Sony’s attempt to launch a new Marvel Universe. Where it falls down in some places, it offers enough charm and storytelling to still make it a fun ride. It certainly has its flaws and I understand why many critics have ripped the symbiote to shreds. The fact is though, that a sequel is very likely considering the audience reception and box office return of the film. Not only will it get a sequel however, I believe Venom should get a sequel and I’ll explain why it’ll be better than the first. Sony sometimes learns from its mistakes. It is rare admittedly, and can sometimes be a blink and you’ll miss it moment, but Sony can grow from past errors. Venom can be an example of that. One of the biggest mistakes for me personally, after watching this, is the decision to to make it R-rated. Deadpool is obviously an example where this has led to huge success and the Tom Hardy blockbuster could have been another movie to make this work well. Sony executives seemed so eager to tie the project into the MCU that they forgot they had to make a marketable film by themselves. 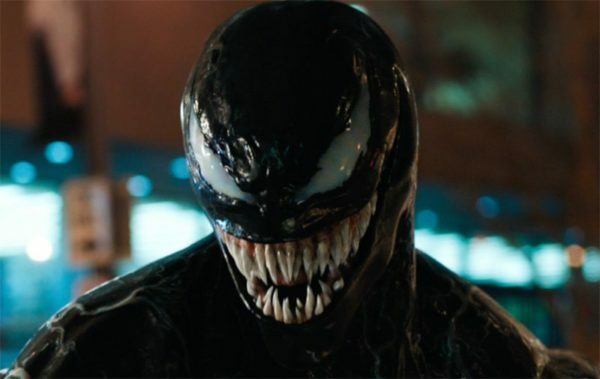 Something inherently doesn’t make sense having Venom as a PG-13 and it shows in the final product. It could have been a lot more fun than it is, with some R-rated humour and a bit more blood and gore. The fact is, Deadpool could very well be written into the MCU because of how beloved it is, despite the R rating. Sony should have taken note of this and I believe the sequel may give them a second opportunity to do right by the property. Riz Ahmed’s character was very one dimensional. An inspirational world leader gone rogue. A billionaire abusing his influence and power. A misguided prophet seeing something that no one else can. We’ve seen it all before and the flaws were as a result of a tired script rather than a coasting actor. Riot the symbiote was not much better, being villainous for villainous sake. Nothing defined the character’s essence, not quite like how Venom himself has been portrayed. The sequel has already set up a much more compelling villain though. Not only is Woody Harrelson a much more charismatic actor, but the character of Cletus Kasady is psychopathic and already brilliant to watch. Lending itself to the R rating further, before the Carnage symbiote is added, Kasady is already a heartless killer with a much deeper set of characteristics than what we saw from the Ahmed’s villain. 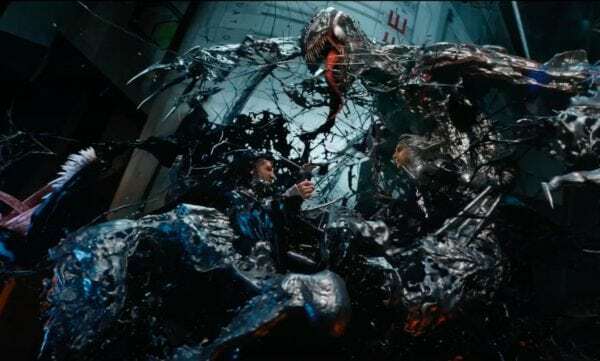 As a narrative bonus, the creation of Carnage can be linked to Venom and Brock themselves – an added wrinkle to what is surely a better conflict. 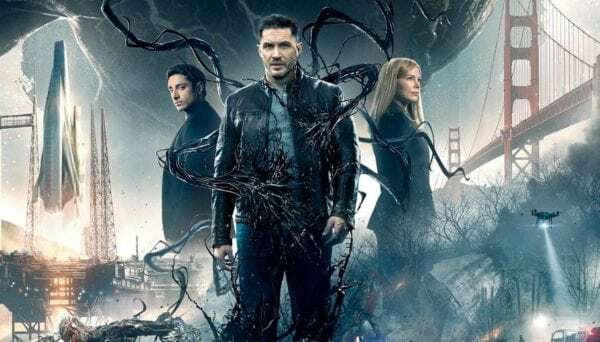 The sequel can run much more smoothly now that the Venom world has been established. I feel a big problem here was deciding upon a good enough reason for the Venom symbiote to stay on Earth with Eddie. With an origin not linked to Spider-Man at all, this was a difficult task and one not carried off successfully. 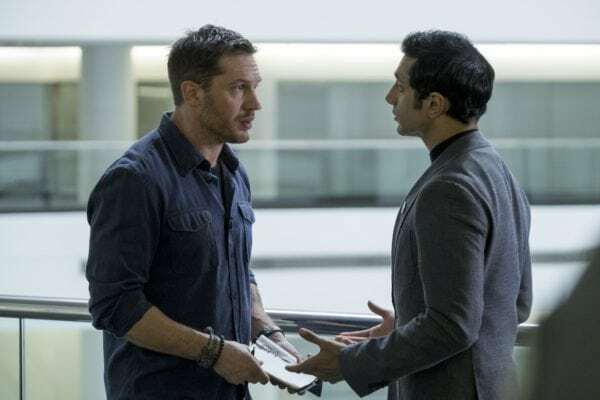 Venom 2 will already have the Brock/symbiote relationship in place. What’s more, She-Venom has now been established within continuity, with Michelle William’s Anne Weying, briefly taking on the mantle during the film. This nod suggests the sequel could add her as an ally in battle alongside Hardy’s Venom and set up a new team to carry the franchise forward. Finally, the Venomverse as I will also unnecessarily title it, has the potential for many other interesting characters. Whilst Sony could well be limited to only using characters that Marvel Studios has no plans to use, this still gives a great variety of both foes and allies for the universe to draw upon. Symbiote characters such as Anti-Venom or an evolution into Agent Venom could both be intriguing narratives to explore. An adapted story using a different Spider-Man, like the Scarlet Spider could be incredibly unique. Or maybe taking some of the other projects being developed and incorporating them into this project is the way forward – Venom vs. Morbius for example. It was also recently revealed that there is an original creator of the symbiotes, Knull. Trapped at the centre of their planet, surrounded by his creations, for Knull to get out and head for Earth world be a high stakes tale of action and drama. There are so many options for the future of the Venom franchise and whilst in some ways it could still be linked to the MCU in the future, it may be better for Sony to just go all out in the next one and really hit a home run. A second chance? It did great on its first chance. Its going to be one of the most popular movies of the year. It was completely perfect, and I enjoyed it much more then I enjoyed Deadpool. Deadpool was OK, but I kind of wanted him to shut up pretty quickly, and it still had un needed “woke” moments, that everyone is tired of seeing. I want a sequal to be just like this first movie, and so do all of the millions of fans. Do the critics purchase tickets? No. We do. Why does anyone care what the critcs think? Everyone is happy with the film. More then happy. It better get a sequel. They learned from mistakes of Last Jedi….which the critics loved, but which probably killed of Star Wars films.